FLAMBLOGGER ...: Does He Look Like Moses? Does He Look Like Moses? Moth has been delivering these two tablets of stone these past three weeks. They are a gift from our mission, Morning Star Messengers, to commemorate a very special event. 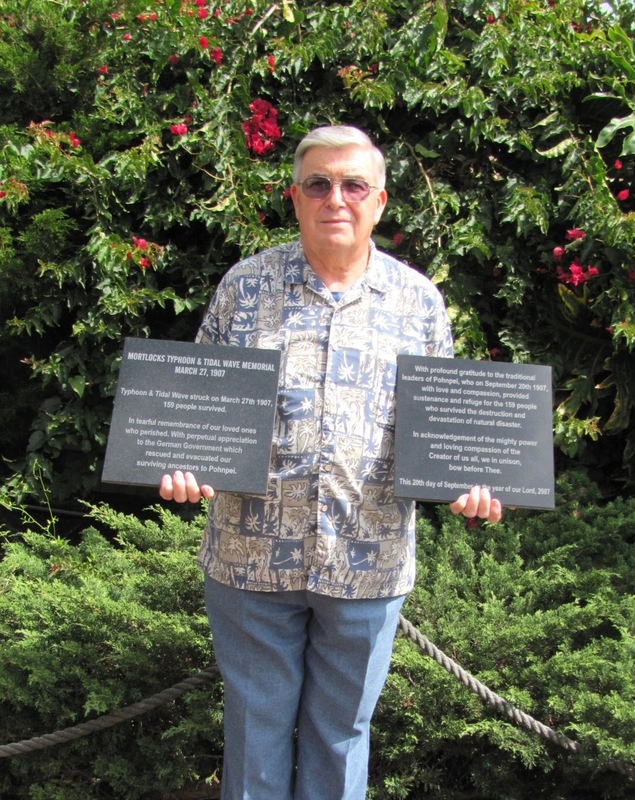 These two granite plaques were engraved here in Carlsbad to commemorate the rescue of more than 150 people from the Mortlock Islands which are part of Micronesia. There are two kinds of islands out in Micronesia. The 'high' ones which have mountains and rock up to several thousand feet and the 'low' ones which barely rise more than a couple of feet above sea level. In 1907 a disastrous typhoon and tidal wave devastated the low islands of the Mortlocks and hundreds of people were displaced and many were drowned. Places had to be found for the refugees from this disaster, but many of the rest of the islands of Micronesia had barely enough food and crops to sustain their own population. However the people of Pohnpei, a high, island, opened their hearts to 159 of the refugees -- a great gesture of generosity. 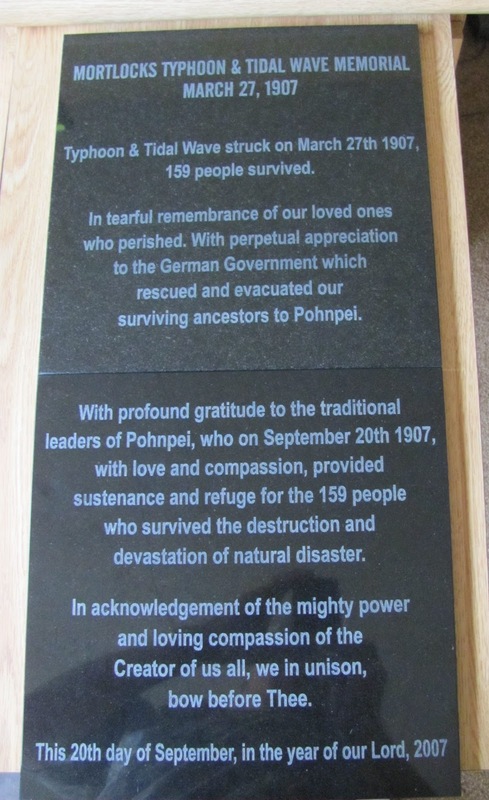 To commemorate this act of brotherhood, the Mortlockese still living on Pohnpei asked for a plaque of recognition for the 100th Anniversary of this event. Things move slowly in the islands and communication is still not easy, but at last the project was agreed upon and two weeks ago the granite blocks were delivered by my husband. They will be affixed to the Mortlockese church on Pohnpei so that this gesture of the Pohnpeians will be suitably memorialized. That's a very nice gesture. It's amazing that people live in such vulnerable areas, but then San Francisco is ever growing! I think he's a bit short of beard for Moses! If you've done a fff55 you need to go over to Mr Knowitall's blog and comment on his fff55 and let him know you've joining in. You'll find that people visit and comment on your words (they're always very positive!) and you can drop by their blogs and return the favour. I would say that it was about time these people got their "clay tablets." Ha! Ha! MOTH makes a very fine Moses. This is a wonderful gesture. I have to agree with Cher....Moses via Moth never looked better.